Woman Submit! 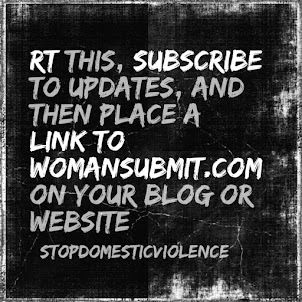 Christians & Domestic Violence: Read the First Chapter of WOMAN SUBMIT! I Should Be Dead…But I’m Not! My pastors and I had made the difficult decision not to hide the abuse from our church family any longer. As a member of the Praise Team, I was accustomed to standing before the congregation, but this particular evening the bruises on my face made the public appearance a bit more difficult. Due to the unusual absence of my husband, the person responsible for the bruises and an associate pastor of our church, it was imperative that the issue be dealt with as quickly, delicately, and honestly as possible. He was evading arrest. This was the second time in six months he had tried to kill me. ~~~ Friday, 8:30 a.m., August 29, 2003 In my distress, I called upon the Lord…. With those words ringing in my ears, John brought his loafer-encased foot crashing down onto my face. Then, as suddenly as the violence started—it stopped. I sent up a silent prayer of thanks, saying, “Yes you did, because everything stopped.” It had not yet occurred to me that I was lying on my back, staring at the ceiling, in a different part of the room, and in a completely different position than I had been in just moments (or so I thought) before. John was standing over me, pacing back and forth and ranting about letting me live—this time. It wasn’t until he stopped, looked down at me, and said, “Oh my God, look at you,” that I realized the violence must have continued even after I cried out to Jesus for help. It also began to dawn on me that I could not raise myself up from the floor. I was not in any pain. I simply could not get up. After John lifted me off the floor, I knew he must have injured me very badly. Besides not being able to focus my eyes clearly, close my mouth all the way, or sit or stand without assistance, I was afraid I was going into shock. Although it was August and very hot outside, I was freezing—shivering violently. It was obvious he was afraid he had fatally injured me, and I could see that my repeated requests for help were beginning to agitate him. I knew I had said all I could safely get away with, so from that point on, I asked for help only from God. I consigned myself to His care and began praying for rescue. But the circumstances seemed hopeless. I was injured, isolated, and completely helpless. I was at the mercy of a man who had just tried to kill me and was steadfastly refusing to allow me to receive help of any kind. He was more willing to allow me to die than to face possible arrest and conviction for assaulting me. tie me up while he was gone. I absolutely knew if he ever did that he would feel he had no choice but to go ahead and finish me off. My position was precarious at best. Whenever I was forced to speak to him or answer his questions, I chose my words very carefully. I knew only the Holy Spirit could help me navigate the situation and keep me alive until help came. Yes I did. And I knew that peace only came from one source—God. It was good to know I was not alone. would spin out of control. Within a short while, I also realized blood was seeping from both ears. The emergency room physician said most of my symptoms corresponded with those of a skull fracture, but besides a mild headache, the only real source of pain I experienced came from my right hand and arm which were fairly useless. That was my condition for about 20 hours. Sometime during the early hours of the next morning I woke up and realized I felt different. I felt better. I thought, “I think I can sit up,” and I sat up. I thought, “I think I can stand up,” and I stood up. I thought, “I think I can walk.” And I walked! I knew that a supernatural healing from God had taken place while I slept. This was an exciting development. The first thing that occurred to me, of course, was not to tell John. I reasoned that if he thought I was still helpless, he might relax his guard and I could get away from him. But instructions from the Holy Spirit came quickly and clearly—I was not to try and deceive him. It did not seem at all logical, but I knew I had heard from God. So, when daylight came, I confided to him that I had been able to get up by myself during the night. His answer was chilling. He said, “I know—I was awake. found myself alone; of course, I headed straight for the telephone. But it wasn’t there. John had removed all the phones from the house. This was a big problem, because even though I could walk and the visual disturbances I had been experiencing were now gone, my balance was still extremely poor. I was still very weak, and I was too slow and unsteady on my feet to attempt leaving the house with no guarantee that anyone would be nearby to help. We had a large fenced front yard that, in my condition, looked as large as a football field. I knew it would take me quite a while just to make it to the street (climbing the fence into the neighbor’s yard was not a physical possibility), and if John came home before I cleared the yard, it would take no effort at all for him to drag me back inside. If that happened, I knew that I would not survive the consequences of trying to escape. I was confident the Spirit of the Lord was leading me not to try just yet. When John returned, I asked, “Am I a prisoner?” He said, “No.” I was nervous about questioning him, but felt a boldness to go on. “Then why are all the phones gone?” He said he had removed them so I could not call the police. I promised him, before God, that if he would return the phones I would not call the police—and he did! Then he left again. my options—breaking my vow was not one of them. I did not know how much time I had before John returned, and most people I knew lived at least twenty miles away. Simple things overwhelmed me. I could not remember telephone numbers, and John had taken my cell phone that had my frequently called numbers programmed in it. The phone book wasn’t any help, because (besides my mother and my pastor) I could not think of anyone to call. I could not remember who I knew. I picked up the cordless phone, looked at it, thought about it—then carefully replaced it. I knew I was having a difficult time thinking clearly, but, again, I was confident God was leading. John returned after being gone only a short while and made a point of looking to see if the phone had been moved. It had not. I had returned it exactly as he left it. Then, after a few hours, he left again. This time, with no hesitation, I picked up the phone and quickly dialed my pastor’s cell phone number. God’s timing is always perfect—my pastor and his wife “just happened” to be in my neighborhood—only blocks from my home. Within minutes I was safely on my way to the emergency room where X-rays and an MRI confirmed what I already knew: nothing was broken, and there was no internal bleeding—because God had already healed me of the most serious of the injuries that had been inflicted on me 32 hours earlier. There is not a doubt in my mind that I should not be alive today to tell this story. I am convinced that, had it not been for the immediate and supernatural intervention of a great and mighty God, my life and death would already be a statistic. I would either have mysteriously disappeared at the hands of my husband, or my family and friends would most certainly have found me—within a just few days, lying in my home—beaten to death. And every year on August 29th, they would celebrate a heartbreaking anniversary. For some, pilgrimages to my gravesite would be made with flowers and heavy hearts filled with remorse. Others would be tormented by memories of missed opportunities— guilt would gnaw at them for the miserable comforts they had offered in their frantic, but ineffectual, concern for my safety. They would wish with all their hearts they could take back unkind and condescending words and actions they now understood had only acted as wedges—alienating them from their beloved daughter, sister, mother or friend. But what could they have done differently? What could my pastor, family or friends have said or done that could have helped me? What could I have done that could have helped me? And why couldn’t I have done it sooner? doesn’t she just leave? If she stays, she deserves what she gets… well if I were her…. Well we’re not her! To my everlasting shame, there was a time in my own life when I said the same hateful things. I knew that I would never tolerate abuse. 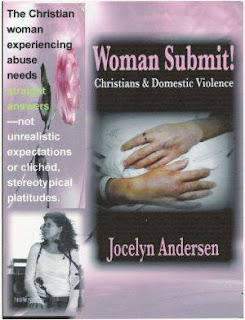 My attitude towards the battered woman was more condescending than compassionate. Certainly she was an object of my pity, but more so of my contempt…until I unwillingly joined her ranks. 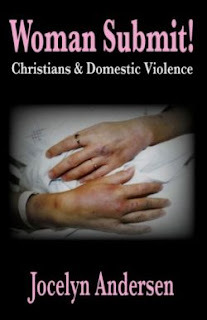 Then I experienced, first-hand, the terrible dynamics that bind a wife to an abusive husband. 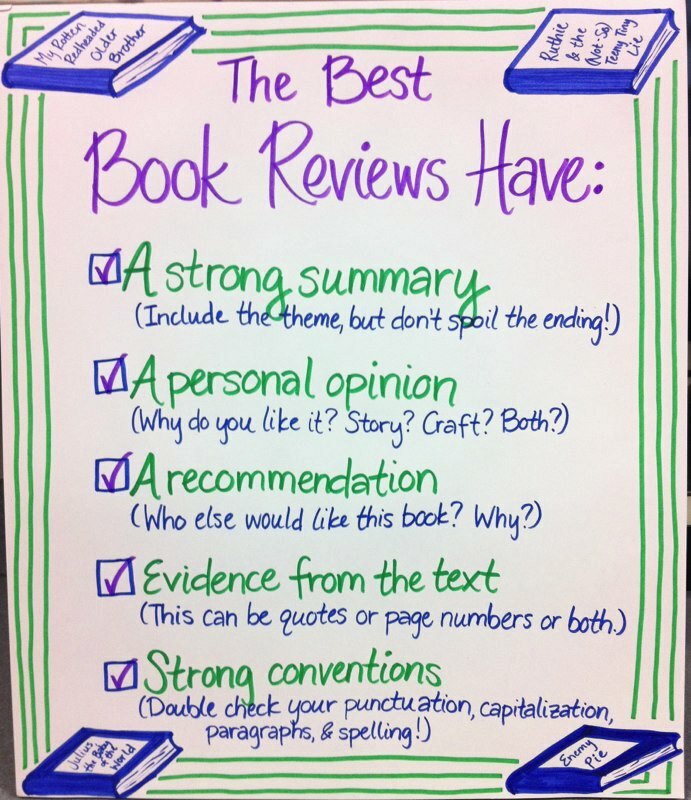 If this book helps shed a little light into a very dark arena from the perspective of one who has been there but is there no longer—if it can help induce compassion where formerly there was little or none—perhaps save a life and give a happy ending to someone else’s story, then it will have accomplished its purpose. In this I am reminded of the story about a small boy walking along a beach that was littered with dying starfish. It seemed thousands of them had been washed ashore, but the little boy walked patiently among them picking them up and, one by one, throwing each back into the ocean where it belonged. A gentleman approached the boy and asked why he bothered. How in the world, the man asked, did he think he could make a difference when there were simply too many to throw them all back? And that is all any of us can do—try and make a difference for this one—for the one who may be looking to us for help. But do not do it. We need to remember that we are merely inconvenienced—she is genuinely suffering and possibly in very real danger. Our friendship and support can make all the difference to an abused woman in the face of seemingly overwhelming circumstances. Our friendship and support can help make her existence a little more bearable, thereby giving her the strength she needs to make choices that, ultimately, may help to change her circumstances and possibly even save her life. I’m so thankful I’ve never experienced anything like this. Thank you, Jocelyn for reminding me to have patience and compassion if God places someone in my path that needs help.